Sponsored by Nuffnang I really can’t believe how quickly this year has flown! Christmas decorations were already appearing on the supermarket shelves months ago and I think we often start feeling a little anxious about everything we have to squeeze in before Christmas. I know some people really love this time of year, the parties, the gift giving, it all sounds so happy. But it can be pretty stressful too. Especially trying to think of Christmas gifts for all you friends and family. This year, I am thinking of having a Magshop Christmas and giving magazine subscriptions as gifts. At this time of year I usually get itchy feet and long to be on my way to an exotic destination, far away from the festive season chaos. It’s not always possible, but a few years ago, way before Emma was born, Mr Man and I were living and working in the UK. Rather than spend Christmas working, and without our family there, we decided to take the opportunity to have a proper ‘White Christmas’. I think it’s something that as kids growing up in Australia you always dream about. Sure beach and a barbie for Christmas day is nice, but real snow on Christmas day is something out of a dream! So we booked a chalet holiday in France and spent the week skiing, eating fondue and enjoying the views. It was like a feature out of the magazines Australia Gourmet Traveller. My knees aren’t really what they used to be so there was more sitting around in cafes than skiing. But you get the idea. 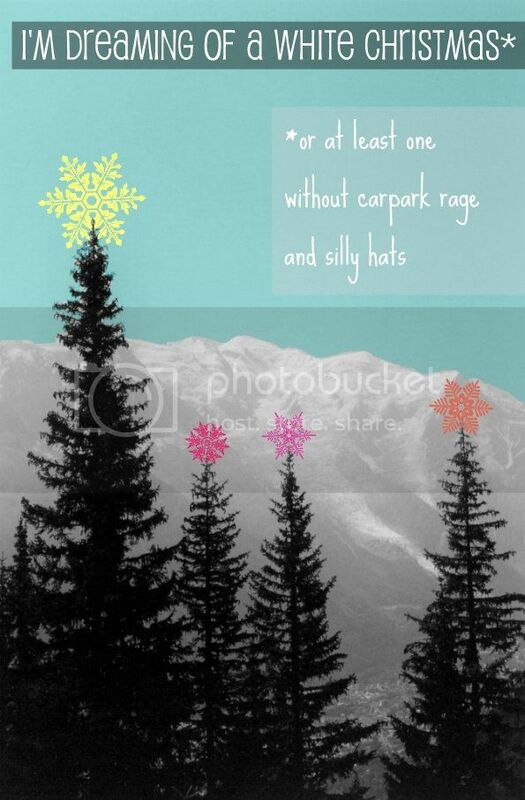 No cooking, battling for car parking, wearing silly paper hats, just tranquility. And now I look back and think how nice it would be to occasionally have a time out during the holidays, and every year on boxing day Mr Man says “Next year we are going away!”. But we are never that organized and flights at that time of year cost a fortune. The only way one could get away would be if I won the lotto OR this awesome Hawaii Holiday Competition offering the chance to win a trip for two to Hawaii thanks to Magshop. Sure the grandparents will be heartbroken if they didn’t see Emma’s little face light up when Santa (who I think this year will look remarkably like my Dad) gives out the presents, but hey, I’m sure Santa gets to Hawaii too. So if you think that you could do with a little rest and relaxation during this crazy holiday season, I’d suggest entering this great competition. What have you got to lose?